Heeft u een vraag voor Blue Bamboo Hotel? Gerenoveerd in 2015, garandeert het Blue Bamboo Hotel gasten een plezierig verblijf in Boracay voor zaken of plezier. Slechts 0.2 km verwijderd van het stadscentrum, is dit een goede plek voor gasten om te genieten van de attracties en activiteiten in de stad. Dankzij de praktische locatie liggen alle belangrijke trekpleisters in de buurt van het hotel. Profiteer van de ongeëvenaarde dienstverlening en voorzieningen in dit hotel in Boracay. De topfaciliteiten van het hotel omvatten 24-uur roomservice, gratis wi-fi in alle kamers, 24-uur beveiliging, dagelijkse schoonmaak, 24-uur receptie. 9 kamers, verspreid over 2 verdiepingen, bieden een warme en plezierige atmosfeer met modern comfort zoals kledingkast, handdoeken, plasma tv, sofa, spiegel. Hotelfaciliteiten als boten, kano, windsurfen, snorkelen, duiken bieden alle gelegenheid om te ontspannen na een drukke dag. Geniet van ongeëvenaarde dienstverlening en de prestigieuze uitstraling van het Blue Bamboo Hotel. Inchecken bij Station 2, Zone 7d, Boracay Island 5608 Aklan, Filipijnen. This place is just a convert of a second fellow of a house decided the rooms by small wooden walls. Only fan in the “room” and the shared shower and toilet were always dirty. The reception is not even there cause there is no place for it but in another guesthouse down the road. 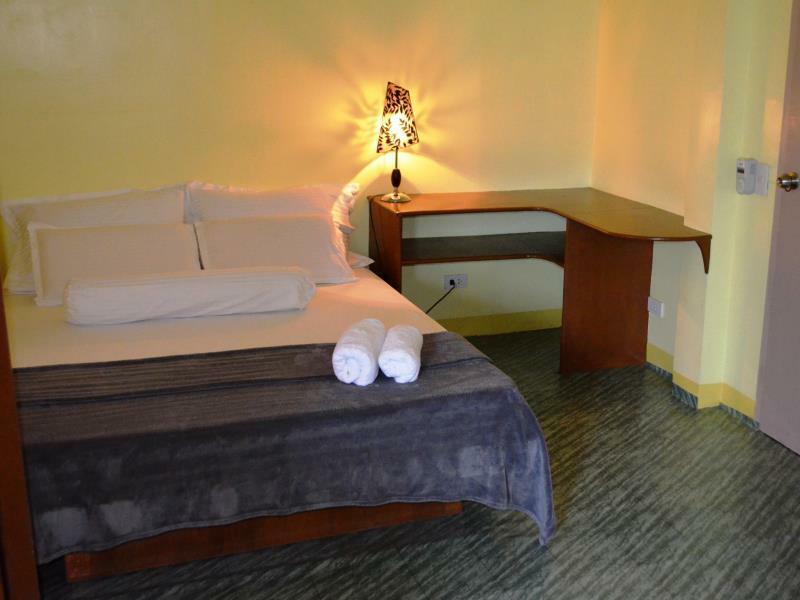 The hotel and location are lovely, and the staff are very friendly and helpful. The only thing is there are cockerels very close to the hostel and they start crowing at about 5am, so take some very good ear plugs. Really nice staff and people, there is a living room with a TV and table. The hotel is a bit tricky to find as it is in a dirty little side road with a lot of construction going on around (which will also wake you up every morning by 6 am so don’t go there if you actually want to sleep or relax - impossible to ignore as windows do not close). We liked that it was close to the beach, not beachfront but only 2 min away. You have to check in at a different place and there is no staff around at the hotel other than the housekeeping lady who also enjoys loud hourlong chats right next to your door with other tenants who seem to live there, preferably during early morning hours. The shower is never hot unless you enjoy only a few drips, as the heater is not built for more. If you like animals you will love it here, I am still carrying around a few of their tiny cute ants in my luggage unlike the lizard that escaped my carry-on items while packing them. The fan worked well and the bed was comfortable. Sorry, but this stay is ridiculous. Found as a hotel post in the list, but after check in it appears as a cheap hostel. The "room" was just a sleeping box, 2,5 x 2,5 m, 1 bed inside and 1 fan on the ceiling. That's all. Outside 1 shared toilet with shower for men and woman together Upgrade to a normal room in the main hotel: no chance I wasted my time and money and looked for a normal sleeping place. Of course no refund. Never again. The room was pretty basic with nothing special. Good if you just need the room for passing out. Had a bit of hard time finding it as its in some alley. Unfortunately for us it had tipped it down had to walk at least 50m through puddles. There was no reception there and only through other guests there did we learn we had to go to "green Frog", which was their other hotel, to get checked in. Was a bit of hustle in the rain. We had only booked for one night and were at bit surprised to be awoken the next morning at around 11 informing us about theeir checkout time even though we had told them we would probably stay longer depending on when we got up. needless to say, we checked out. 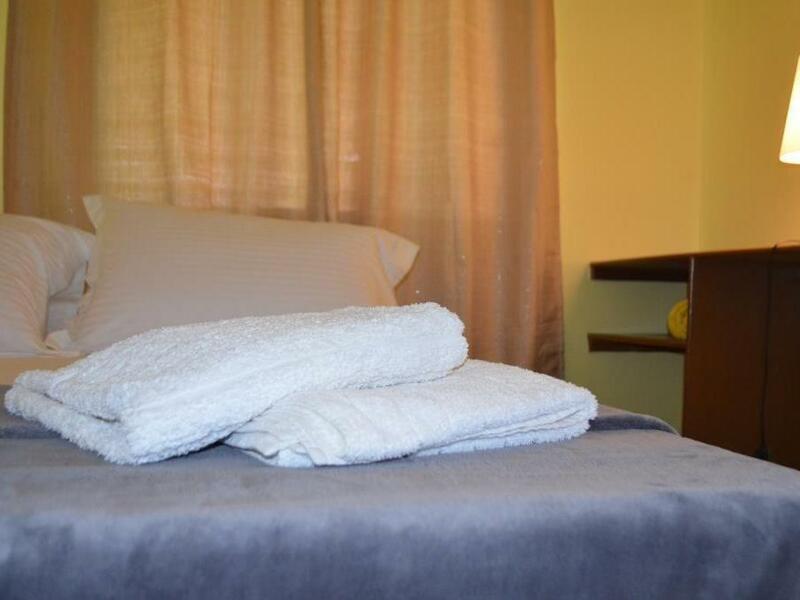 the aircon room is big and really good value for the money, therefore we will recommend it. just 3 minutes to the beach.. we liked the care taker. he is very nice.. only that i dont recommend their fan room.. it was so warm and misty. Stayed for 3 nights in a non-ac room. It can be too hot during daytime so better get an AC room. Nevertheless place is cool, perfect location 3 mins walk. Its near D'Talipapa so you can grab food in an instant. 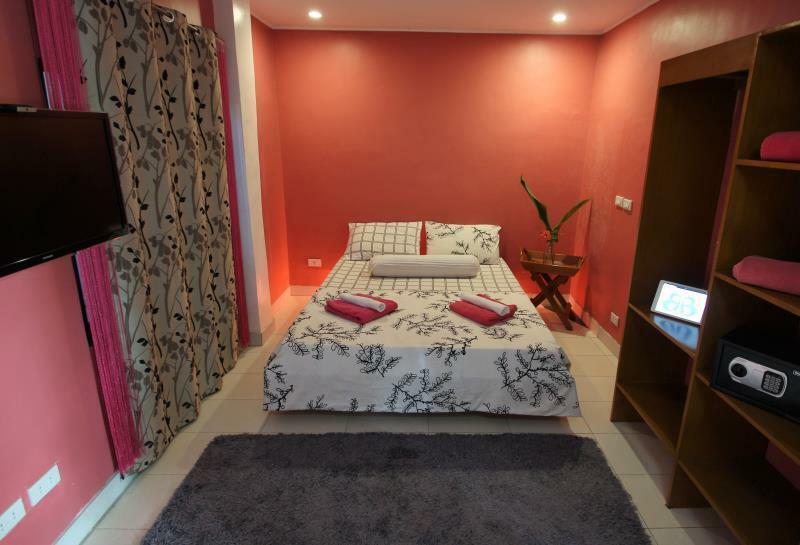 The Staff was very friendly and helpfull.. boracay is an expensive place, blue bamboo wasnt cheap cheap as for backpackers, but it was a pretty good deal, the place was very clean, shared bathroom was constantly cleaned, and the room was cleaned for us every day. The location is perfect, few steps from the beach and everything you need. The only thing was that it was soooo hot! We had a fan room and asked for a second one which they kindly gave to us, but it wasn't enough.. Don't know if it was only our room, as it was the last one.. Super hot! 2 minutes walk to the beach. 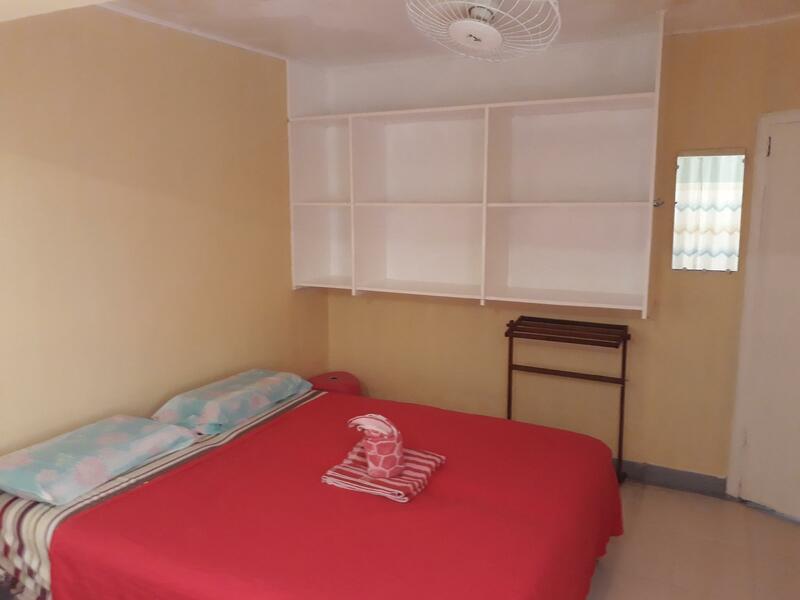 2 minutes walk to D'Talipapa. Clean room & toilet. Even fan room but very cold at night. No noisy environment. In the centre of everything at station 2. Everything was superbly comfy! We booked here during summer (May 2015), and we got the hotel rate at promo price. The staff were amazing. everyone was friendly which adds to our pleasant stay at this hotel. Only problem was the mosquitos on the first day but it was gone after we stayed overnight. Everything was pleasant after that. Stayed here for two nights-3days. and I can say that I will come back here and will also recommend this to my friends and family. it was decent, nothing fancy, the staff that includes the owner, were very nice, warm and friendly. it was worth every cent of my hard earned money. thank you so much to ate (the owner), jr (the inn keeper) and the ever reliable kuya guard. 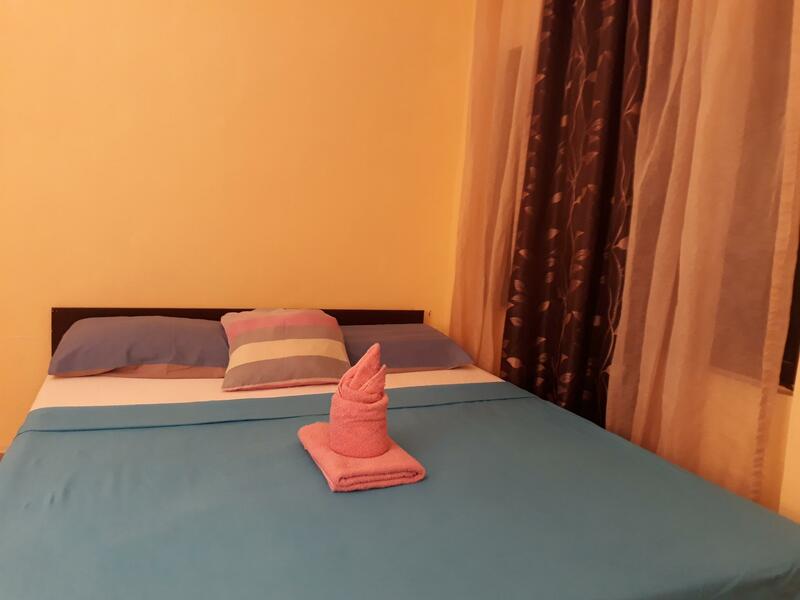 Very nice place, the room was conforming to the photos, the bathroom is shared but they have 3 for 8 rooms, and they are always clean, one of the bathroom has hot shower not expected for the price and not common in Philippines. The staff is always nice they always satisfied our request whit a smile. The best place quality/price. The worst part was having to go to a different hotel to check in. We weren’t aware of this and one of the hotel guests told us that. The room was small, cramped, dark and smelly. The bathrooms were disgusting - basically toilet and shower all together. One of the bathrooms was so small that you’d have to shower sitting on a toilet. The sheet had dodgy stains, there were bugs everywhere - I am so bitten! The temperature with a fan was bearable but not ideal. If you want to pass out after a big night out it’s fine but definitely not worth the money- even though that is so cheap. The internet and location were excellent. Can not complain about that. 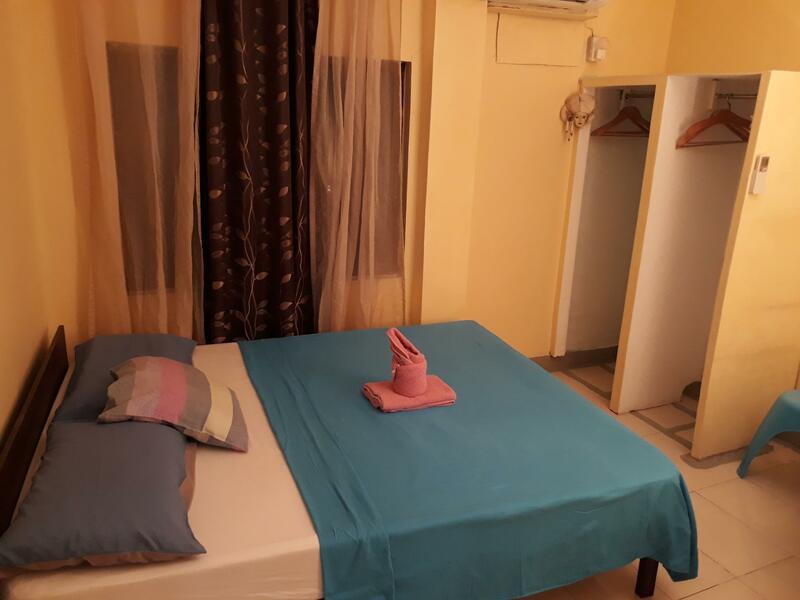 Good place for the money, nice and clean bathroom/toilet, friendly staff, 1 minute from white beach.